Exercising is hard. Especially if you’ve been sedentary a while, it can be difficult to get yourself back into a place where you’re able to reach a sort of physical stability. You’ve got an uphill climb ahead of you if you’ve been stagnant, and it’s going to take a while to reach the peak. However, there is a way to positively dissociate without losing consciousness. You might call this mind over matter—getting ahead of your body’s limitations by getting your mind focused on things beyond the pain. Have you ever spent an hour on a treadmill with no music, no TV, no book, and nothing to look at? You’ll get physically and mentally fatigued, and it will be harder and harder for you to push yourself. In contrast, taking a walk on a mountain trail, swimming, waterskiing, snowboarding, skydiving, hunting, or playing a game allows you to focus your mind elsewhere in a way that is positively stimulating. There is a reason some of the best athletes are sportsmen of one variety or another. Not only do they push themselves for the sport, they enjoy playing it. If you want to get in shape, you need to shoot past the goal, toward, say, winning a softball game; this way collaterally you become in shape. You’re working toward one goal, and a positive outcome develops elsewhere. There are a lot of things softball specifically can do to help you maintain a healthy body and mind, five will be explored here. Many sports give you the opportunity to get in shape. Some more, some less. Ice hockey is more intensive than softball; it’s also got a steep learning curve owing to ice skating difficulty. Golf probably won’t get you in as good a shape, and it’s more expensive. Meanwhile, centered between the extremes is softball; which has many local leagues, is a simple game most people are familiar with, and involves regular physical exercise. Furthermore, that exercise is long-drawn out, which helps lead to long-lasting positive physical change. Nine innings can go by at different intervals, too; and the better your team gets, the harder you’ll be tested. You win collaterally even if the game is lost through the benefits that come to your body. If your interest is already piqued then you might want to look at softballbatbuddy’s list of slowpitch bats to get you started, and consider the other essentials you’ll need to jump right in. It’s well known that the best path to fullest human flourishment is proper diet and exercise. When you’ve got proper exercise, you can “fudge” it a little on the diet; though don’t get too comfortable eating junk food; long-term health risks can impact the healthiest man if he’s not eating right. The best players of softball will eat healthy, natural, organic food in proper quantities, and give their all on the field. They may even be prompted to work out in a gym beyond regular practice or games to give the team an edge. When you’re working with a team toward a goal over a season, that focuses your mind on a task that requires work, and will have a positive outcome even if you don’t win the local “series” of your community. You will lose some games, you will win others. You’ll also work with a team of people toward the same goal and form exterior interpersonal relationships. Additionally, you’ll have to think under pressure while playing the game and exerting your body, honing your ability to exercise while thinking, and to think while exercising; both of which are very important for mental health. If you’re not used to regular physical activity, when you find yourself having to push your body, the work of exertion undermines your ability to think clearly. If you’re regularly pursuing a physical activity that requires your mind to be focused, then you’ll enable clearer thinking when crises force physicality and on-the-spot decision-making. Ultimately, such a benefit is important not just for your own personal health, but for that of your friends or family—perhaps even your local community. Europe went a long time without the sort of conflict which ripped it apart in the 20th century. Countries like the USA aren’t immune from similar situations. Hopefully they never come. But no one knows the future. It’s important not to let a life which is blessed with health and peace lead you into physical stagnation. The body goes and oftentimes the mind follows. Perhaps being involved in the Army National Guard or a local militia can help you keep yourself sharp; but for many, a sport like softball ends up being more manageable, and having at least some of the same effect in terms of mind-over-body outcomes. Softball requires running, throwing, leaping, catching, and more. Altogether, it’s a total body workout often sustained for more than three hours, depending on innings. Granted, you’ll want to ensure you’ve got the right clothes. If you’re starting a team, you’ll need men’s softball jerseys with your team’s information on them. It’s good to get jerseys from those who normally provide them, as they will be exercised in over multiple games. That requires some strength. You definitely want clothes that can handle a bit of a beating. You become more mentally and physically flexible through regular practice and gaming of the sporting variety. 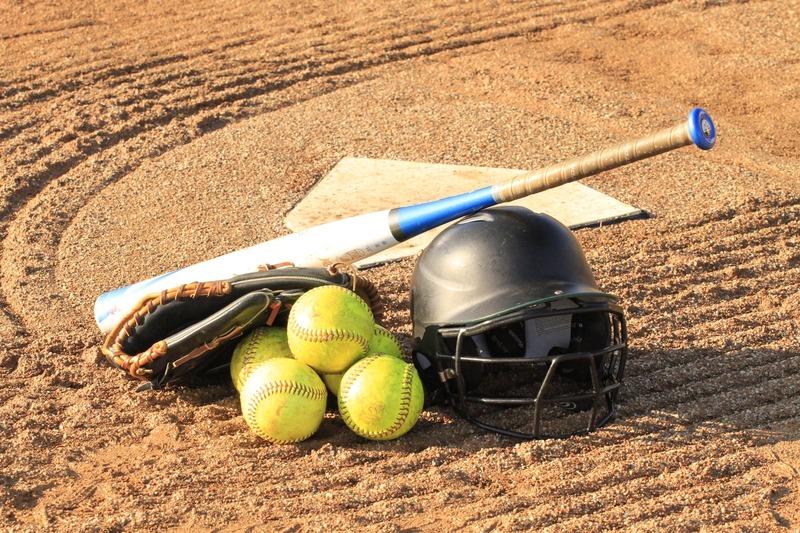 With softball, you’ll get bodily flexible, you’ll be able to think more clearly under physical pressure, and additionally you’ll have more stable mental health. Plus you’ll have a whole new set of interpersonal relationships and events to manage, which requires you to become more flexible in your schedule. This increases your economization of time, which is a collateral skill relevant in family, professional, and personal spheres of life. Whether among your business, municipality, for the sake of charity, friends, or other community, there is likely going to be a softball league you can become involved with. This is a particular sport with some prime benefits which is convenient in terms of cost and simplicity. It’s a sport that isn’t constrained to one gender or another, and often has mixed leagues for everyone. In short, there’s much to recommend softball as a physical activity. By focusing on this game, you can get in shape while enjoying life. It’s a much better solution than walking on a treadmill for an hour a day.